Today is Billy Graham’s 90th birthday. The BGEA has been celebrating with a campaign to get testimonies across the globe related to Graham’s ministry. His health has been deteriorating, not surprisingly, over the last few years, but at present there is nothing critical in his health condition. His beloved wife, Ruth, married for 63 years, died last year. For those not familiar with Billy Graham, especially his work within evangelicalism against fundamentalism and intellectual sectarianism, then you should read The Surprising Work of God: Harold John Ockenga, Billy Graham, and the Rebirth of Evangelicalism (Baker Academic 2008) by Garth Rosell, Professor of Church History at Gordon-Conwell Theological Seminary. Rev. Ockenga helped establish Fuller Seminary, Gordon-Conwell Seminary, the National Association of Evangelicals, and (with Graham) Christianity Today. I’ve not had too much to do with the man, but the more I learn about him the more I like him. He got a ringing endorsement by Larry King: “A true American treasure and a beloved friend.” The show was interupted to wish him happy birthday. Good to hear about the recognition by King. 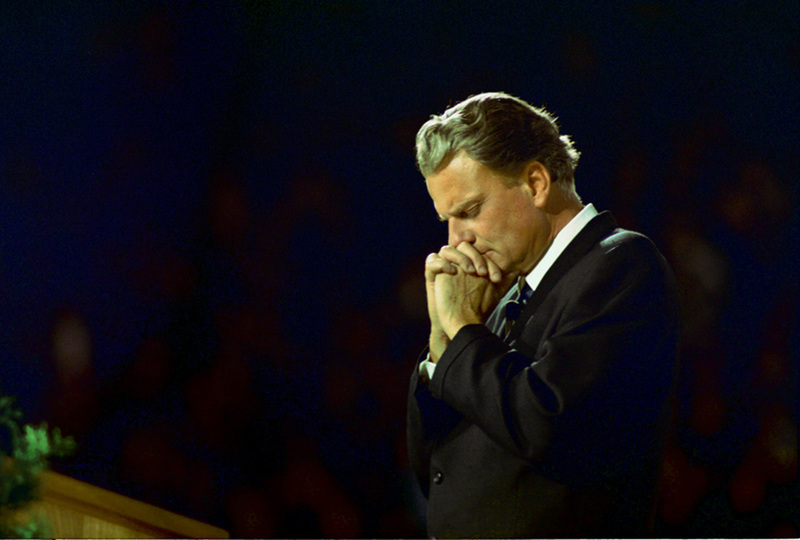 I am publishing an article about Billy Graham in the first issue of our magazine The New James. Could you tell me if this image is public domain? if not, do you know where could I obtain permission to use it? I have no idea where I got the picture…probably from searching Google Images. I usually note any copyright when I post images on this blog, but I can’t say for sure whether or not it is copyright.